Facebook is the largest social network in the world, with a ton of features for businesses and individuals. One such feature is Facebook Messenger, also just called Messenger, which is both an integrated part of desktop Facebook browsing and a stand-alone phone app. Messenger is great for business for two primary reasons. First, it allows you to be in close contact with your fans at any time. If someone messages your business with a question, you can pop it open on Messenger and answer it in a matter of moments. In fact, Facebook Pages even have an indicator showing the average response time for businesses that use Messenger, which can help encourage people to contact and communicate. The other element of Facebook Messenger that can be great for businesses is the ability to make chatbots. A chatbot for Messenger is essentially a flowchart of information, displayed as buttons the user can tap or click, which works sort of like a phone tree for an answering machine. If a user wants to click through, they can have their common questions answered without the need for human intervention. Plus, if their question can’t be answered by the automatic system, it’s easy for the query to be transferred right to the human manning Messenger, because it’s the same system. Since there are two primary reasons you might want to use Messenger, I’ve divided the rest of this article in half. The first half will be alternatives you can use for messaging other users, either on a personal or on a business level. The second half will be more business-oriented chat options, some of which include chat bots you can use. If you’re using Messenger primarily for the ability to communicate with a few friends, partners, or even customers, you can always choose to adopt a different messenger. The list of available messaging platforms has been slowly declining, unfortunately, but it’s only the most out of date options that are disappearing. The recent closures of apps like MSN Messenger in 2014, Yahoo Messenger in a slow closing starting 2016, and AOL Instant Messenger in 2017 has opened the playing field for other alternatives. Skype is probably the most well-known of the messengers I’m going to list, possibly rivaled only by WhatsApp. More on that later. Skype is a business-focused online phone and chat service that, while once stand-alone, was purchased by Microsoft. This has both benefits and drawbacks; it’s become a clunkier program and a bit of a resource hog, but extended support and the integration with various Microsoft products has cemented its role in business messaging. 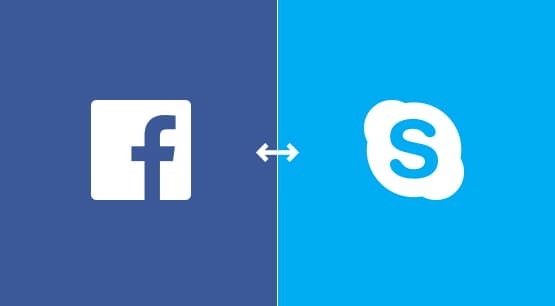 Using Skype as a business messenger can be a decent replacement for Facebook Messenger. It has a rather large adoption, though it’s primarily amongst professionals who have to use it for work in some capacity. 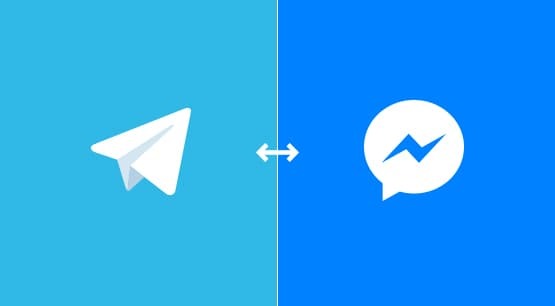 It has the primary downside that all Messenger replacements have, which is the need for your users to have an account and client installed. Getting people to call you on Skype from Facebook is a pretty high barrier to entry. Personally, I consider Skype something of a necessary evil. Too many people in too many important roles use it, and it’s too commonplace to be ignored entirely. On the other hand, there are numerous good alternatives to Skype itself, and its nature as a not-too-great program makes it kind of irritating to use. 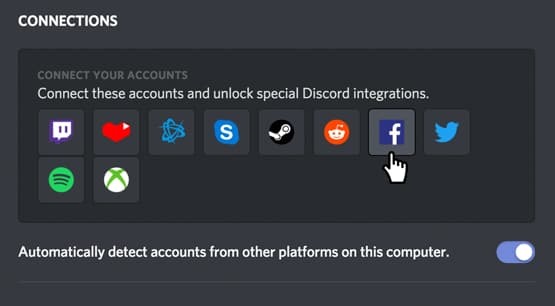 You can think of Discord as a Skype alternative. Their own branding has been entirely focused on gaming and the Gamer market, potentially to its detriment. It has one on one text chats, group chats, voice for both individuals and groups, and most importantly, servers. Servers on Discord operate similar to how servers on the old IRC service worked. An entity – like your business – can set up a server, and users can join that server. The server has both text and voice channels, where it can be used as a community gathering place, a knowledge base, and a chat system all at once. It can be accessed via a web client or on mobile or a desktop app. Discord isn’t necessarily a great business application. They don’t have any business-class features, and their gamer branding makes it a little unprofessional. On the other hand, the combination of messaging system and community gathering point can make it a great alternative if you can adopt it whole-hog. Imagine not just having a direct communication path to your customers, but also having a community knowledge base similar to a forum without the need for the additional web hosting and forum maintenance. Telegram is a messenger that works sort of like a cross between Facebook Messenger and traditional SMS systems. It has a few great benefits for users, primarily in their encrypted communications, their API, and their flexibility. Telegram is a relatively new messenger to the scene, and it’s making waves. It’s great at what it does, with the only flaw being the need to get your customers to use it. As with any new technology or app, it only works with the people who are willing to use it. As that group expands, so too will the utility of Telegram for business messaging. WhatsApp is one of the largest messaging apps out there, and is probably one of the best alternatives to Facebook Messenger available. It has most of the features you’d expect from a messenger with few of the limitations. It also has a specific business app that is both free and is aimed at customer automation and response. With encrypted traffic and the other features available, WhatsApp is almost the ideal option. So what’s holding it back as being a great alternative to Facebook Messenger? Well, Facebook owns it. Facebook bought WhatsApp in 2014 for a frankly absurd amount of money. 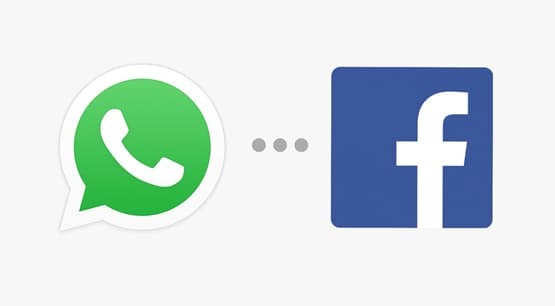 So, whether or not WhatsApp is a good alternative depends on why you’re choosing to leave Facebook Messenger. If you’re just having trouble with Messenger or want another platform you can control in different ways, WhatsApp is a great choice. If you’re trying to break the Facebook monopoly by switching away from their services, well, you’re not breaking free of their ecosystem by switching from one FB-owned app to another. I will say one thing though; the primary benefit of WhatsApp is not actually anything I’ve listed above. It’s actually the fact that it’s such a huge, widely-adopted chat app overseas. If you frequently interact with customers in basically any country other than the USA, WhatsApp is probably a great choice. If you’re a user of the Facebook chat bot features and you want something similar, or if you want a form of messaging that doesn’t rely on person-to-person communication the way an instant messenger client does, here are some other options you can look into. If, on the other hand, you want to create a chatbot for Facebook messenger, you can do so using any of these services. Chyme is a bot building system for business that has a number of different bots available. The one I’ve linked is their customer service chatbot, but they have a number of others I’ll mention in a moment. The Chyme bots are all great at automating certain repetitive tasks that, nonetheless, can’t really be handled automatically. For example, if a user wants to know your store hours and for whatever reason isn’t able to check your website, your Facebook page, or whatever location they would normally check, your Chyme bot will be able to help them. 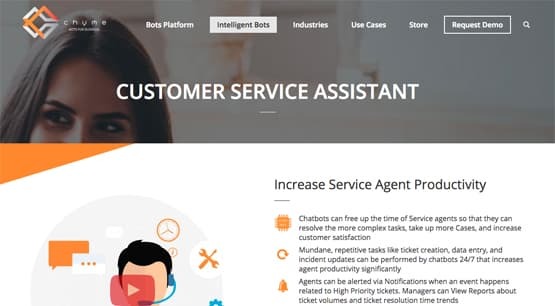 As with most business chatbots, Chyme bots have a limited scope and the ability to alert a customer service agent directly if the customer has a query outside of its scope. If a customer, for example, wants to return a product, you can have the bot forward the query directly to an agent to handle the RMA process. Essentially, you’re offloading all of the most basic, tedious tasks to a bot and giving more time to your customer service agents to handle the more important or complex tasks. Chyme’s other bots handle different elements of running a business. In particular, they have a sales bot that can help manage basic leads and closing communications, an IT help desk that can automate basic IT features and troubleshooting prior to a tier 1 agent looking at it, and an SAP assistant to help with all of your basic rote SAP needs. 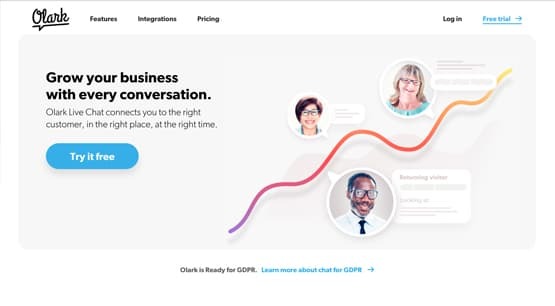 Olark is one of a number of different chat systems integrated directly with your website. I guarantee you’ve seen these before. Have you ever visited a website and seen, in the lower corner, a “chat with us” button that hovers down the screen? An agent’s face with a “hey, if you need help, let me know” initial message? These are chat programs like Olark. Even in the cases where there’s an initial message and an agent present, there’s not actually a real person on the line. These chat systems are a communications channel waiting to be opened, much like a phone. If the user makes a call – or opens a chat – an agent can pick up and answer right away. The primary benefit of using a chat program like Olark is having the chat available on your website at all times. So long as you have an agent available to answer, a user will be able to ask a question and receive help much faster than they could with a phone call, an email exchange, or a support ticket. On the other hand, these kinds of chat systems require a user to be browsing your website. There’s no way to hook one directly into Facebook without going through Facebook Messenger. Alternatives to Olark are many, but they’re all basically the same app with the same general features. You can always pick and choose a different one, of course, so feel free to look through them. Some names I can give you off the top of my head are Tawk.to, FreshChat, LiveChat, Zoho’s SalesIQ, and LiveAgent. Alright, so Twitter isn’t exactly a chat application, but hear me out here. What are you generally doing with Facebook Messenger? In my experience, 90% of the time you’re handling customer service. 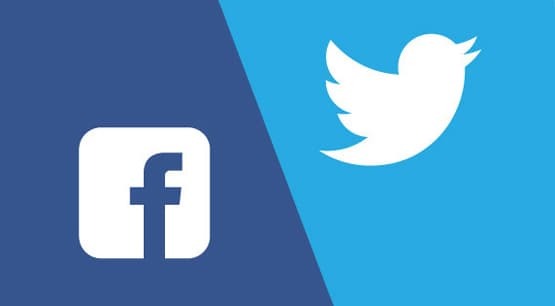 Facebook Messenger can be decent for this purpose, but I’ve found that time and again, users take to Twitter to get their immediate responses and their needs satisfied. Twitter is probably the premier social network for customer service, and as such, it stands to reason that you might want to use Twitter as a chat service. You can easily monitor your direct messages, mentions, and replies on a desktop platform or a phone app, and there are dozens of business-level service platforms that integrate with Twitter to give you more features or analytics to go along with it. Twitter also has the same sort of chatbot automation systems that Facebook has. You can read about their functions and how to set them up here. Plus, with Twitter, you can be proactive with your support. You can use social listening tools, or even just the occasional search through the platform itself, to look for people who are talking about your brand. Find opportunities to offer support directly, and you’re pretty likely to retain some customers you might not otherwise be able to keep around. Regardless of why you want an alternative to Facebook Messenger, chances are I’ve found something you can use. Nothing is quite going to replace the fact that Facebook has approximately fifteen trillion users, but hey, you might find something that suits your needs.